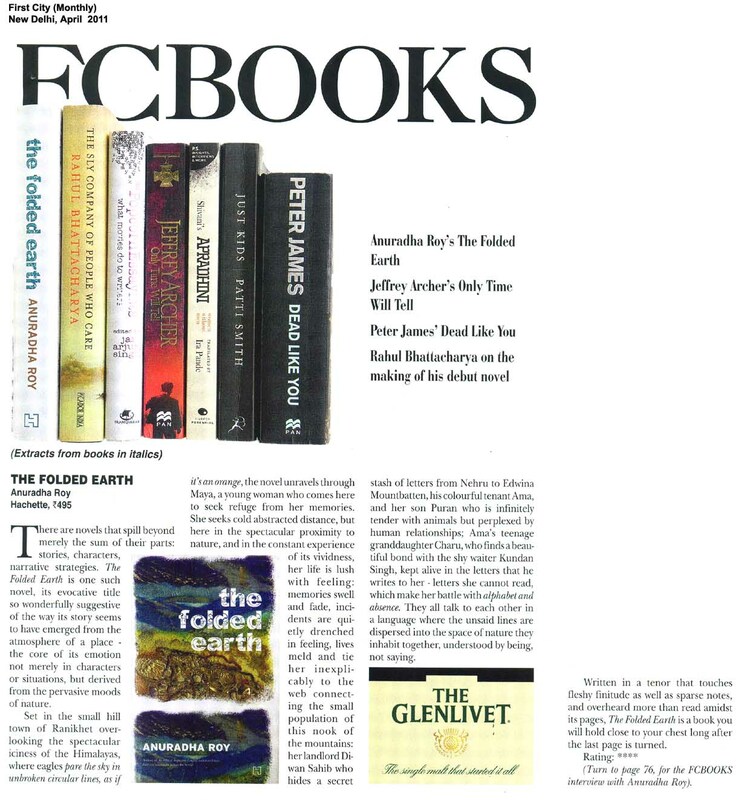 A review here from First City on The Folded Earth. 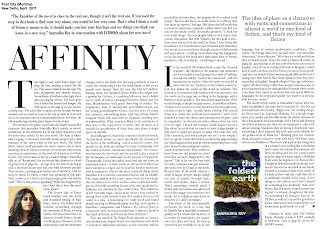 This is an eccentric magazine in more ways than one: for one thing, it has pages and pages, usually very interesting pages too -- on books; second, it is agreed by most writers who are interviewed by the mag that their journalists are extremely good at what they do -- this is not as obvious a virtue as it might seem; it's still a magazine that is not available online; oddest of all, their journalists don't get bylines. 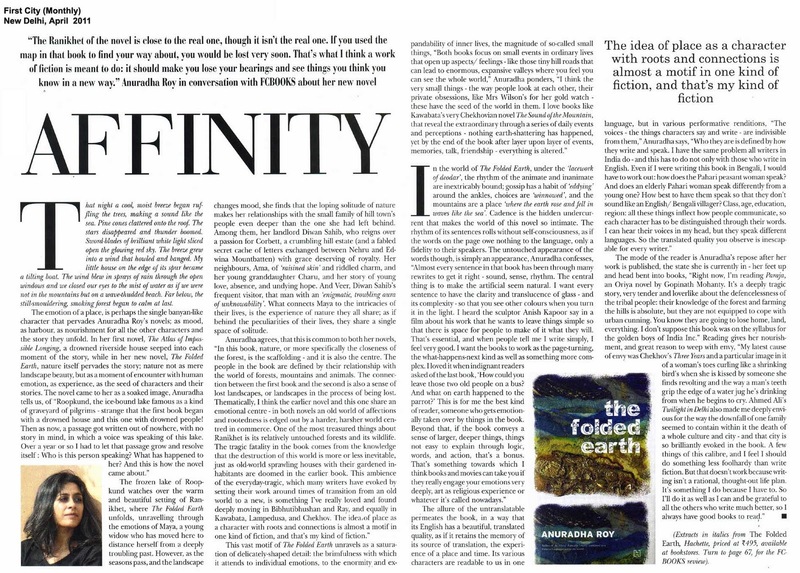 Despite all of this, it's a great magazine, one that everyone in Delhi knows. 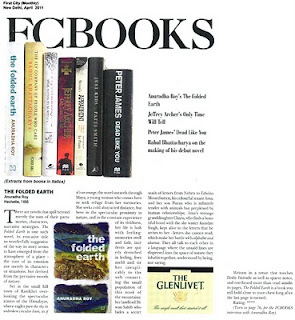 First City also ran an interview-based feature on The Folded Earth, which is here.